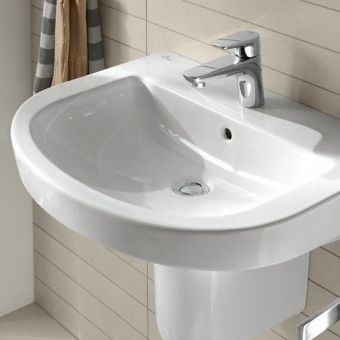 Subway 2.0 is the refreshed collection of Villeroy and Boch’s bestselling range: Subway. 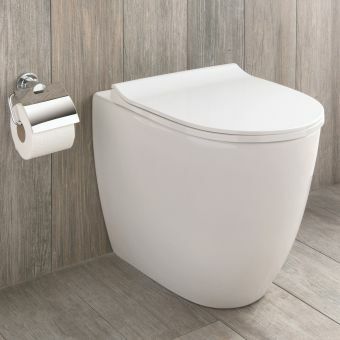 The Subway 2 back to wall pan is one of their bestselling floor standing WC’s, and it isn’t hard to see why. 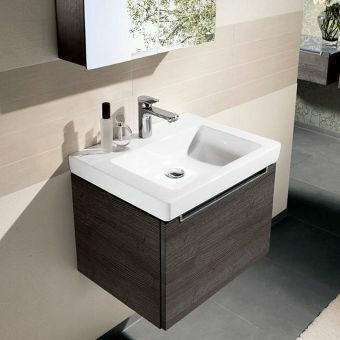 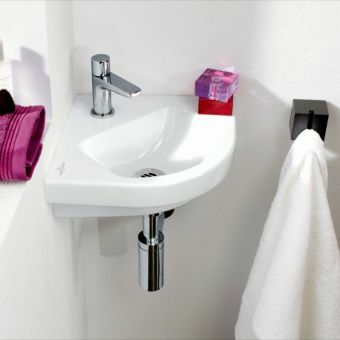 The design is modern, clean and minimal, adding chic sophistication to any bathroom design with ease. 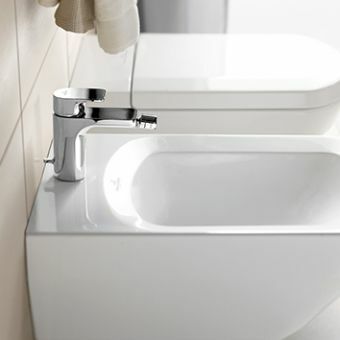 The smooth single piece form is fully back to wall, hiding any waste pipework within its sleek and contemporary shape. 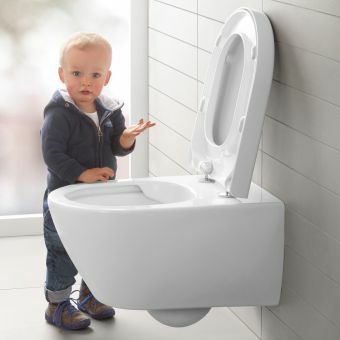 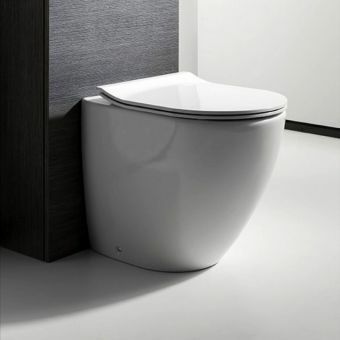 The toilet bowl has the latest Villeroy and Boch flush technology built in: DirectFlush. 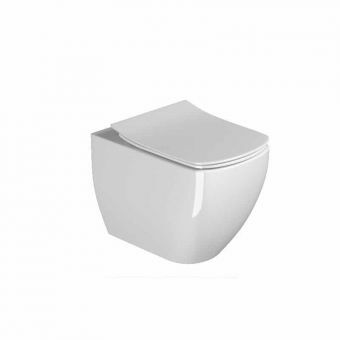 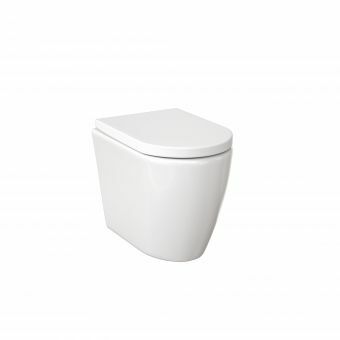 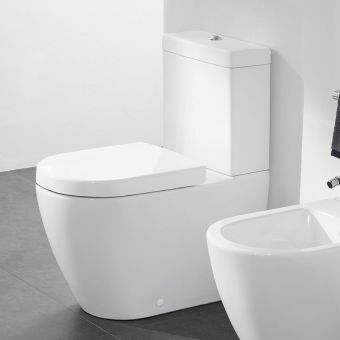 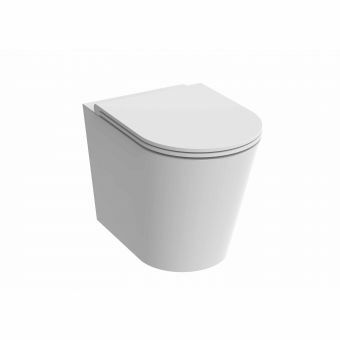 V&B Direct Flush is a rimless toilet bowl design, this is a single piece form that doesn’t have the traditional lip around the bowl, this with the newly developed flush means there is nowhere for dirt and germs to hide, the entire bowl is flushed thanks to the brand new flushing style. This results in a toilet that is not only more hygienic but also stays cleaner for longer after being cleaned, it is also easier to clean as there is no toilet bowl rim to scrub underneath! 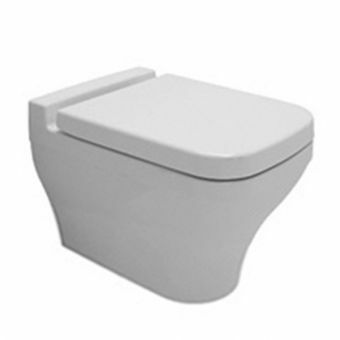 The toilet can be upgraded to Villeroy and Boch’s renowned CeramicPlus coating, this is an easy clean surface treatment that lasts the lifetime of the product, unlike inferior products it is not a spray-on treatment but is burnt into the glaze of the pan on firing. 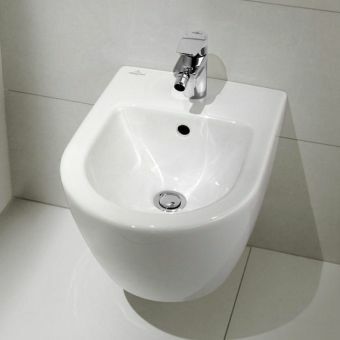 The surface area is less porous so dirt and germs have less adherence to the surface and do not build up on the surface. 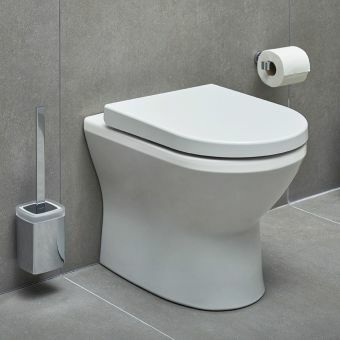 The Subway 2 back to wall pan requires a concealed cistern and flush plate for full installation, these are purchased in addition. 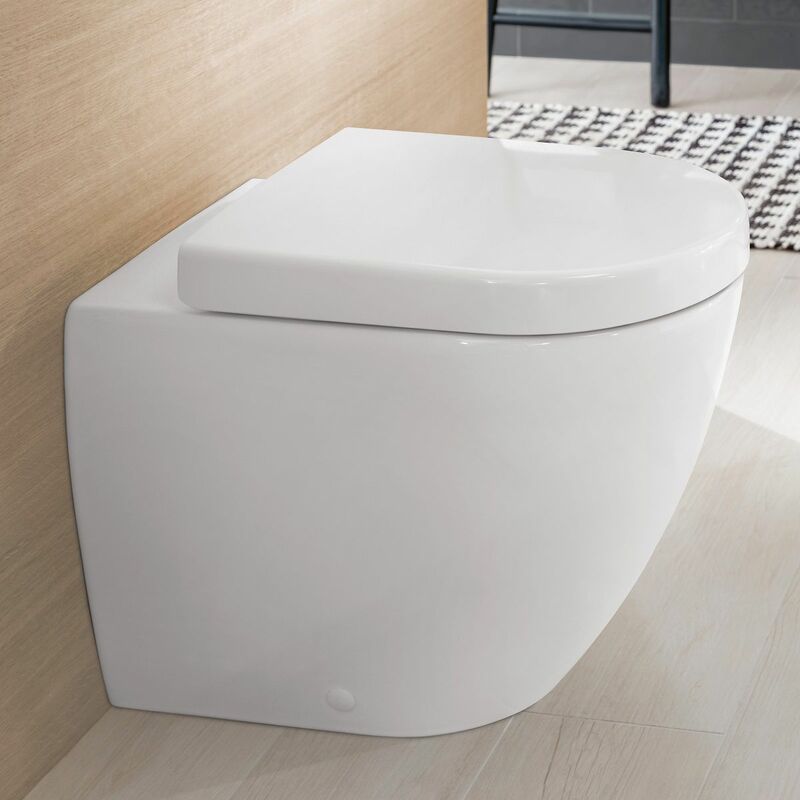 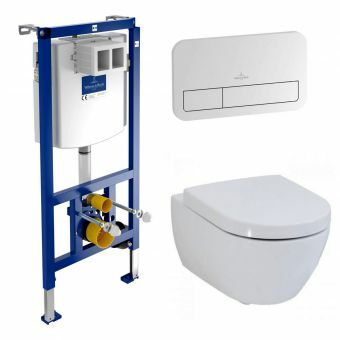 Seat options include a normal thickness seat in soft close or standard hinge, and a new slim seat design which is thinner in style but just as robust in function, all have steel hinges with V&B quick release for fast removal of the seat, ideal for easy cleaning in your new bathroom!